While that’s great news, we know you want to know what will cost to finally get rid of that hair. So let’s look into that. As with any variable procedure, cost depends to some degree on your personal goals. Some patients want to get rid of hair only in one specific area, other patients want to address several areas. So, the larger the treatment area, or the more places on your body you want treated, the longer that will take and the more it will cost. Your laser hair removal treatment plan will be tailored just for you, and the final cost will reflect that. However, these examples of our most popular options will give you an idea what to expect. We will discuss your actual cost during your personal consultation, once we’ve worked together to determine exactly what you want and need. *Pricing as of March 2019 and subject to change. Laser hair removal is super-fast. Typically, it takes just a few seconds to treat a small area, less than an hour to do your entire back. That makes scheduling convenient, and it saves you time. There’s no way you can effectively address your own back, and it takes more than a few seconds to shave even small areas. Time is money, you know. Although laser hair removal does require more than one session for optimal results, after that results are virtually permanent. So we can’t tell you it’s “one and done,” but the end is easily in sight. What a difference compared to spending the rest of your life wasting time and money on some other hair removal option. Laser hair removal might even pay for itself. Cost and quality usually go hand in hand, and you cannot put a price on safety. Laser hair removal is not a spa treatment like a facial, it is a medical procedure. To ensure your personal safety as well as optimal results, you want a provider who has the training and skill that comes from experience working with lasers. 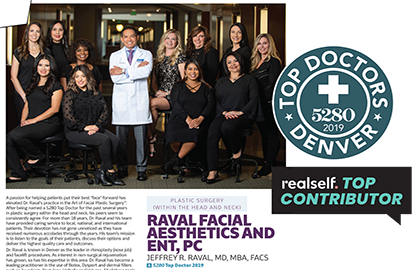 We’re especially proud of our team here at RMLA – Dr. Jeffrey Raval and our Paramedical Aestheticians have what it takes to help you achieve the best possible results, effectively, safely, and comfortably. Find out by scheduling a private consultation. The sooner you get started, the sooner you can lower your lifetime cost of hair removal. And, with warm weather on the way, you’ll be looking your smoothest just in time.